All the killer critters you really don’t want to mess with! Do you value your life? Then stay in, where these evil beasties can’t find you. That’s right: out in nature, death is waiting for you everywhere. Sharks! Snakes! Bears! Spiders! Electric eels! Lions! Piranhas! Get to know the real-life monsters you most want to avoid. Scare yourself silly with cool colour profiles, shocking stats and fearsome photos. 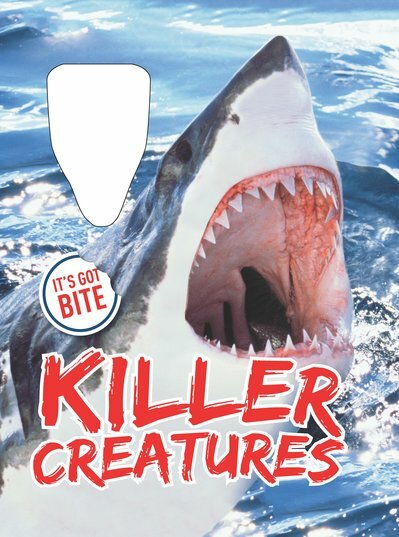 Frighten off attackers with your shark-tooth necklace. Plus: have fun with crosswords, quizzes and puzzles. Only for the brave!